Many are the projects developed by our company. Below is a selection to show their diversity and relevance. Participants: UPC, CEA, University Stuttgart, TF, etc. Summary: The mains objectives of KERS where, to improve the energy efficiency behaviour of domestic refrigeration systems of Fagor company. 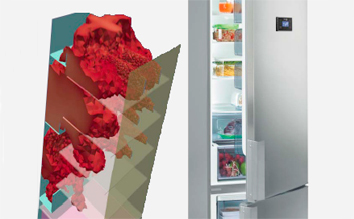 TF role was to develop an innovative virtual domestic refrigeration framework able to optimize the final Fagor prototype. Participants: Alstom Wind, Gamesa, Acciona Windpower, Iberdrola Renovables, Acciona Energía, TF, etc. Summary: The project was focused on the development of the necessary platforms in order to achieve a new offshore wind turbine with Spaniard technology. 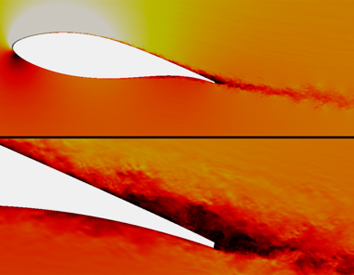 TF role was to develop an innovative virtual wind tunnel software capable to accurate predict the behavior of the thick profiles needed for this type of turbines. 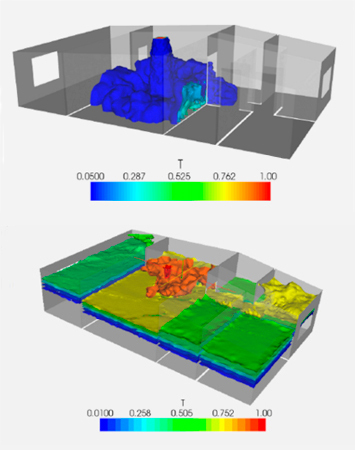 Thus, as a result of the project TF owns highly advanced aerodynamic software capable of predicting the behavior of the turbulence and fluid dynamics characteristics of wind turbine profiles or blades by the means of LES modeling and the use of HPC facilities. 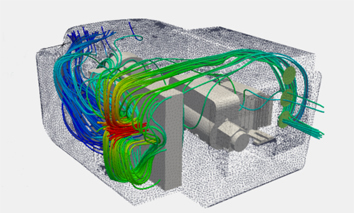 Summary: The project was focused on the prediction of the thermal behavior of the air inside a wind generator nacelle using CFD&HT simulation techniques. The nacelle of a wind mill power generator contains several elements inside. Among these elements there are electronic components that need a certain range of temperatures to operate properly. There are also mechanic and electric devices that dissipate energy in form of heat inside the nacelle when operating. To avoid a possible overheating, outside air enters the domain from the tower, and is pumped out by a series of fans. 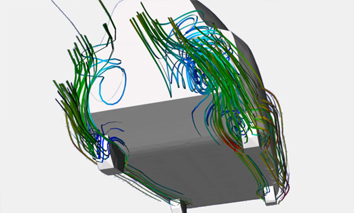 In the project the distribution of the fans inside of the nacelle was optimized by the means of CFD&HT simulations. An experimental setup was also developed in order to verify the optimal fan distribution. Summary: The project was focused on the development of the necessary platforms in order to create TF core technology. As a result of the project TF has developed a unique software platform with physical accuracy and outstanding performance on supercomputers.